Please note that we do not sell retail to the public. Peterscape is strictly a wholesale mulch supplier to landscape contractors & business only. Peterscape Land Clearing & Recycling Inc., located in New Jersey, is a full service Wood Recycling & Land Clearing Company. 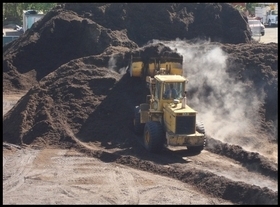 We strive to be the leader in mulches & soils for residential and commercial applications. Our products have been beautifying homes, businesses, and parks in New Jersey for over 10 years. We take great pride in offering you the highest quality products available and service that surpasses all other. We offer delivery, or you can pick up at either our Florham Park, NJ or Old Bridge, NJ locations. You can rely on our knowledgeable staff to help you choose which products are right for you.